Jopie Levie, as he was called in Meppel, represented an important aspect of the history of Meppel: Jewish entrepreneurship. 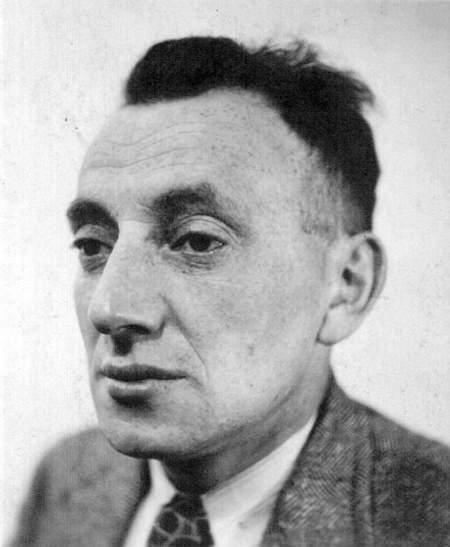 He was the owner of De Goedkoope Bazar (the cheap bazaar), one of the many Jewish shops in Meppel during the Second World War. He sold just about anything and even put out his ware on the pavement. Roelof Dikkers from Woldstraat had very curly hair in his youth. He tried to do something about it, so every now and then he went to Levie’s ‘Winkel van Sinkel’(a shop that sells a great variety of goods) to get pomade to get rid of his curls. From left to right: Herman, Salomon and Ali Levie, with her brother Max on her arm. Before the war the firm of Levie supplied us with household goods, which we transported by barge to different places to sell them. Often my dad drew up a list and I cycled to Levie’s shop in the 1st Hoofdstraat. In the front part of the store, household goods were sold to the public. At the back there was some sort of wholesale business. With my list I entered the shop and placed my order with Jopie, a small busy man who could not stand still: ‘so many spoons, so many forks, so many knives.’ If I came on a Sunday, which was possible at Jewish shops, I had to put my bike inside, for the Levies did not want any trouble with the neighbors or other clients. They were very nice people; they always helped me and often offered me a meal. Mrs. Levie made excellent chicken soup. The price was always exactly what we had agreed upon. In that respect Jopie was more trustworthy than his brother Moos, who had a clothes shop in the other part of the Hoofdstraat. Here we also bought goods for trading. It sometimes happened that goods were priced a bit higher than we had agreed upon, so we had to be careful. 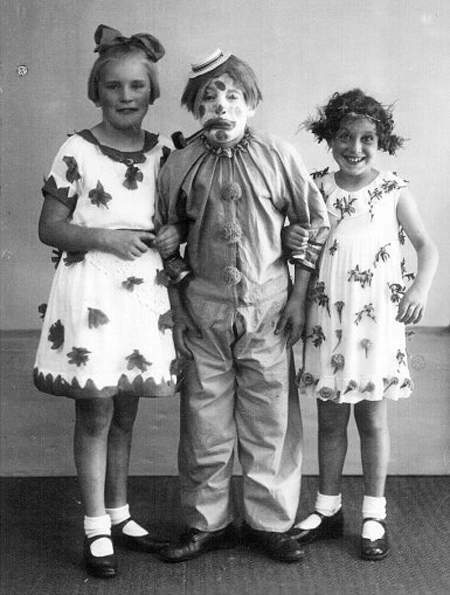 Mientien Jansen, Benjamin Levie and Gretha Levie (from left to right) in festive dress on the occasion of the wedding of princess Juliana and prince Bernhard in 1937. 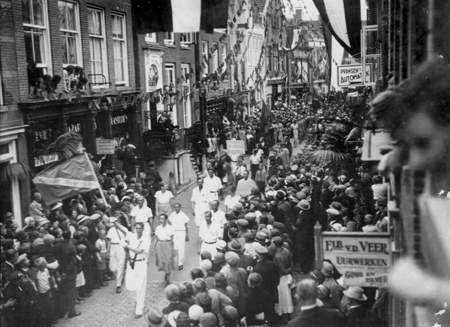 Early in 1939  more than a year before the war began  Meppel local council gave him permission to build a large warehouse behind his shop (in Akkerstraat). It was designed by the famous Meppel architectural firm of G. Otten and Son and built by contractor Gebr. Van de Wetering from Meppel. It cost fl 5.210,- which was quite an amount in those days. This warehouse is still there but has been turned into an apartment building. It is one of the few relics of that family that was once so prominent in the town. Jopie and Marianne had a lot of children, two of whom died within a year of their births. The other children were Alida (1921), Benjamin (1923), Grietje (1926), Mozes (1928), Herman (1933) and Max (1940). When there was a wedding in the town hall next to their house, the children would often hang out of the window to watch. Also for the Levie family WWII was a terrible time. Even certain not specifically Jewish measures hit them hard, like for instance the handing in of metal. This we know from a letter Jozef wrote on 21 July 1941 to Meppel local council. It stated that he had handed in 60 kilograms of copper and brass. This was a considerable loss for him. Besides all the other misery this large family suffered from, they had a shortage of food in the course of the war. This was even made worse by the anti-Jewish measure that Mrs. Levie was not allowed to do her shopping till three o’clock in the afternoon. I was friends with Grietje, the second daughter of the Levie family .Our friendship started at the school we both attended, the Zuiderschool and lasted till during the war. We were no longer in the same form then. Grietje was clever and was sent by her parents to ULO (secondary modern school) and I went to work straight after primary school. But we kept being friends. They were such awfully nice people and wanted to help you in every possible way. Fortunately, we could do something in return during the war. They did not have tea, only this dreadful surrogate stuff. When I went to see Grietje in the time it was still possible for Jews to have non-Jewish visitors, my mother gave me some real tea to present to the Levies. Grietje’s mother then made ‘real’ tea which they enjoyed immensely. 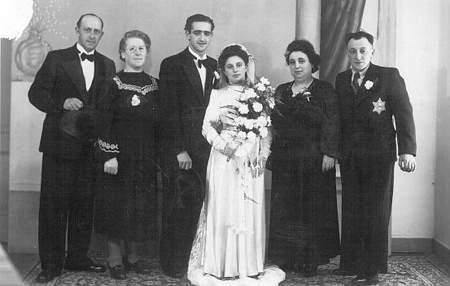 The Levie and the Content families on the occasion of the marriage of Ali and Eli in 1942. How awful the war must have been for the Levies, one happy occasion was undoubtedly the marriage of their daughter Ali to a merchant in fine knitwear Eli Content from Zwolle, in June 1942. They probably knew each other because both the Levies and Eli’s mother Jetje had a stall in the Meppel weekly market. The marriage was naturally a very sober occasion. They had managed to scrape some ingredients together for a festive meal. But alas, on the day of the wedding the Germans are said to have forced their way into the house and took anything they fancied. Ali was already pregnant then, but the child was never to be born. The mayor of Amsterdam has informed us that the name of the person concerned was recorded in their register, whereas I was never informed of his removal from the register of your municipality. As usual, the Meppel authorities were quick to respond. Town clerk Mr. De Carpentier claimed he had forwarded the form they required on 4 August. On 8 October he sent a duplicate of the mutation to The Hague. This caused some panic and several telephone calls were made by the Meppel and the Amsterdam police. It was decided that Benjamin had to travel to Meppel on 14 August on the first train that day. He would arrive in Meppel at 10 a.m.; in time for his last journey! He would never see Meppel again. On 2 October Jozef came home on leave from work camp Orvelte. The same day the whole family was fetched from their home: Max, Herman, Salomon, Alida, Eli Content, Mozes, Grietje , Marianne and Jozef. Soon after their arrival at Westerbork they were transported to Auschwitz. 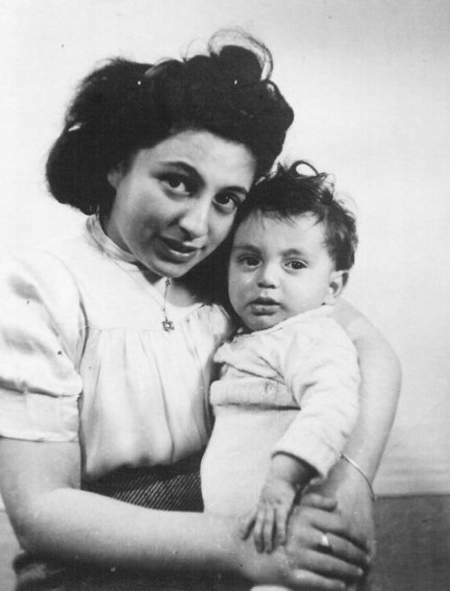 On 5 October they boarded the train and three days later the mother and her children found their deaths in the gas chambers. Father Jozef and son Bejamin had to suffer longer. 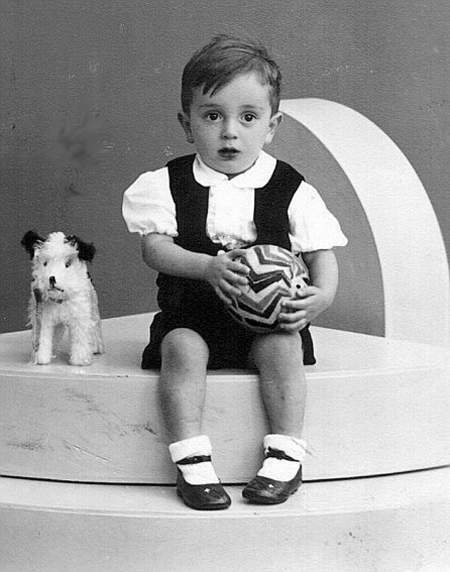 Jozef died somewhere in central Europe on 31 August 1943 and Benjamin died somewhere in Eastern Europe on 31 March 1944. Only Eli and his mother got off. Eli stayed in Blechhammer till early 1945. On 21 January the prisoners were evacuated from that camp to concentration camp Gross-Rosen, where they arrived on 2 February 1945. Some 800 prisoners were killed by the SS during that funeral march. Eli Content managed to survive this notorious march. 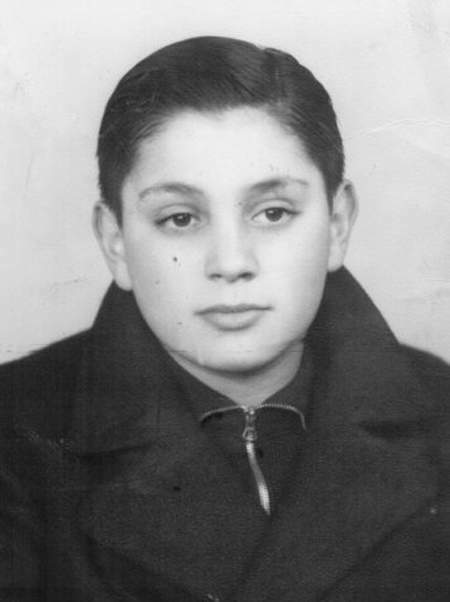 He was the only Meppel Jew who survived the extermination camp and the work camps and who came back to the Netherlands. The Germans had made it impossible for the Levies, as was usual, to do business any longer. The shop was closed and the stock had been taken away. Jopie was no longer allowed to sell his goods on the market either. This is clearly shown by a bill the firm of Minnema & Van Hemmen sent to the Levie firm on 31 July 1942. Mr. Levie owed them fl 71,28 for glass ware they had supplied. Not Mr. Levie, but the police handled this matter. For payment of the bill they had to turn to the Wirtschafsprüfstelle. Apparently people knew exactly what to do in such cases. Formally the liquidation of the shop was completed in 1942 and 1943. On 15 September Mr. E.J. Kuiper from Boekelo was appointed Verwaltungstreuhänder. He had to settle the affair of ‘the shop and wholesale business in fancy- and household goods.’ This meant continuing the business on the assumption that it would be financially attractive. Apparently the Germans changed their minds, for on 10 March 1943 the same Mr. Kuiper was appointed Liquidationstreuhänder. His assignment was clear; the business had to be liquidated, which actually happened in 1943. Unfortunately, after the Levie family had left, Mr. C. van der Vegte, a member of the NSB (the Dutch national socialist movement) and owner of a number of joinery works, settled in the building and made it the firm’s main office.